Waterfall Info: This is the second waterfall (from the bottom) on Long Creek. This waterfall isn't signed officially so it is visited far less than (Upper) Long Creek Falls. 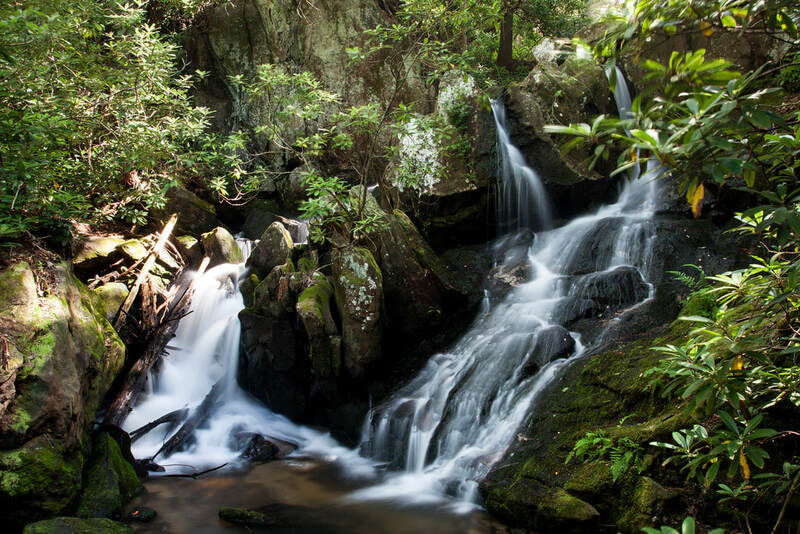 Access Info: An easy hike from FS 58 at Three Forks along the Appalachian Trail with a short scramble path to the left at the end leads to Middle Long Creek Falls.